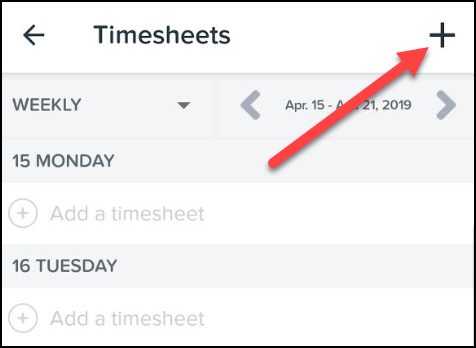 You can add additional timesheet lines to the same day if you click on the '+' button and select the date. 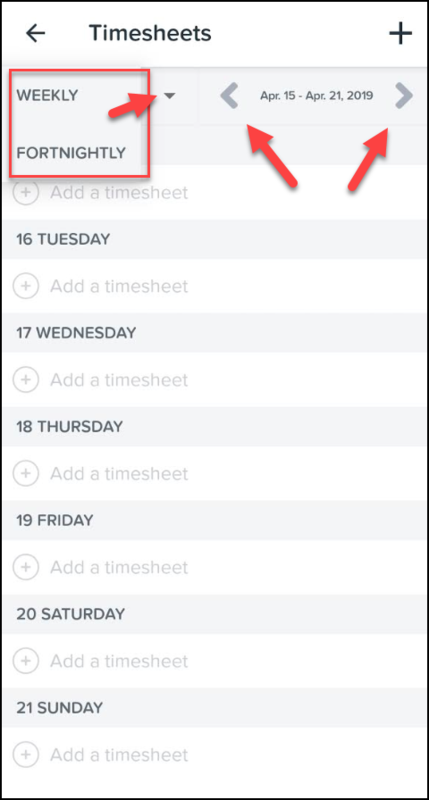 This will allow you to add another timesheet on a day that already has a timesheet. This applies for both iOS and Android. The timesheets will then be sent to the approving manager/s. Timesheets that have the status of approved, submitted or rejected are able to be deleted. 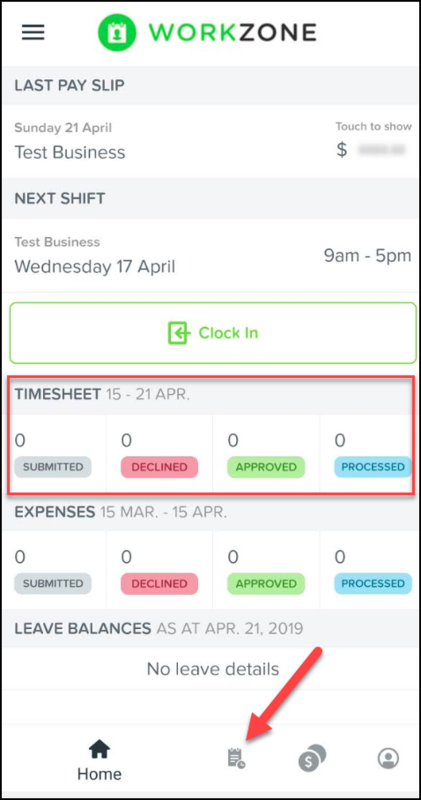 Processed timesheets have already been included in a pay run and therefore cannot be deleted.